Half a century later the musical ideas of Ornette Coleman have lost nothing of their power; they are still a source of inspiration for many musicians. Early in 2009 the RUFF SOUND QUARTET was formed, initiated by drummer Pascal Vermeer. The quartet plays various Ornette pieces from the ‘60s. Freely using the improvisational possibilities this chordless music offers, anarchy and adventure blossom. After a few successful concerts, the Ruff Sound Quartet went to Osnabrück, Germany to record their first CD at the Fattoria Musica Studio with sound technician Chris Weeda. All recordings were done live, in one room, without any overdubs. 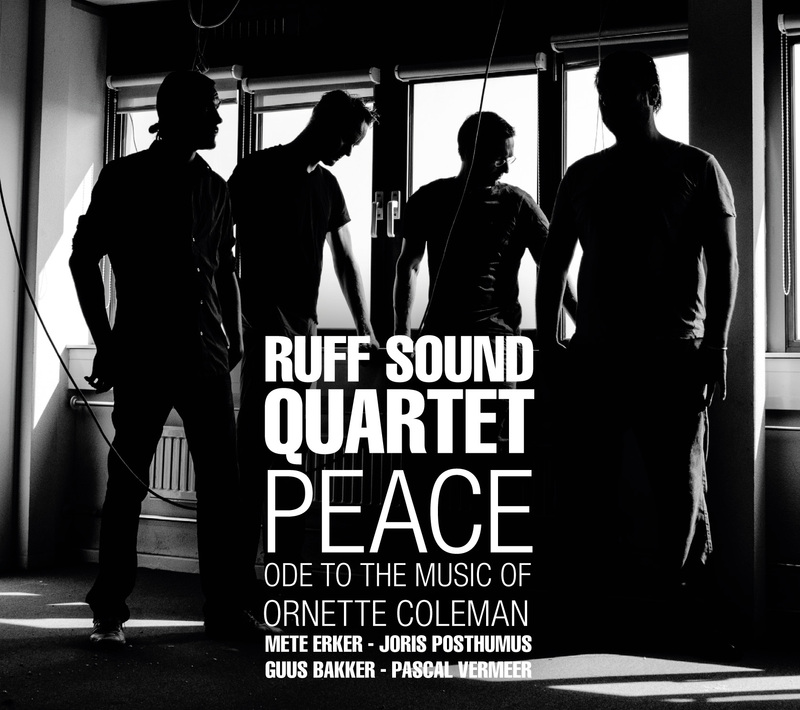 On ‘Peace, Ode to the music of Ornette Coleman’ you will find five of Ornette’s compositions and one of Charlie Haden with three originals by members of the quartet.